Link to your Institution's custom portal on Overleaf . Short video introduction to the main features of Overleaf. 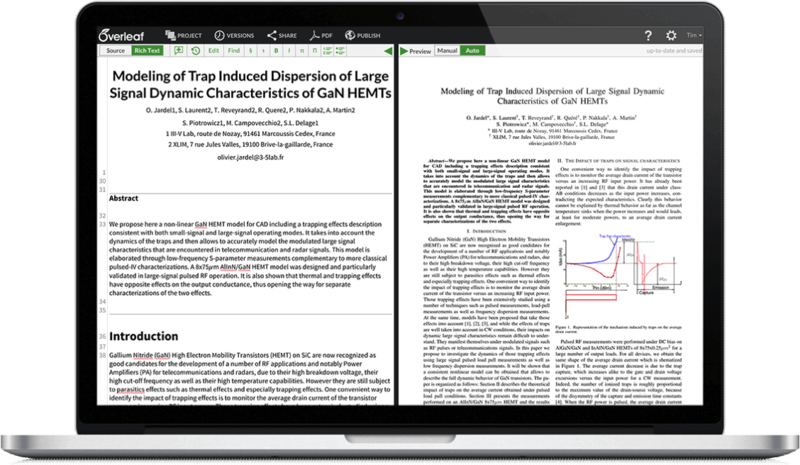 Free online LaTeX course by John Lees-Miller, co-founder of Overleaf. The course was developed for the University of Bristol and the slides are open source and permissively licensed (MIT), so you are free to remix them for use in your own courses.